Medical sales representatives either manage their territory, or their territory manages them. How can you create time for selling and all the other tasks your medical sales job requires? It starts by taking inventory of your customers and the time available. Check out this podcast to start gaining more control over your time and territory. 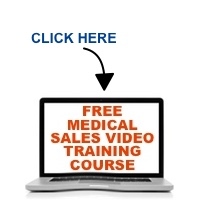 Ready to learn the nuances of effective medical selling?